DrumCore 4 is an AAX/VST3/AU plug-in instrument with 24-bit audio and MIDI drum loops of inspiring performances by famous drummers, and their multi-velocity sampled drum kits. With its improved browser and searching, 64-bit compatibility, mixer view with insert effects, song timeline for assembling loops, and integrated store with previews, DrumCore 4 is the perfect tool for songwriters, composers, musicians and producers. Choose to use royalty-free drum loops by celebrity drummers (provided as tempo-adjustable GrooveSets in a wide variety of styles), or create your own grooves with the drummers' kits, which are MIDI-mapped and customizable, making DrumCore easy to use with external controllers. Drag and drop grooves to tracks in most popular recording applications on Mac and Windows. 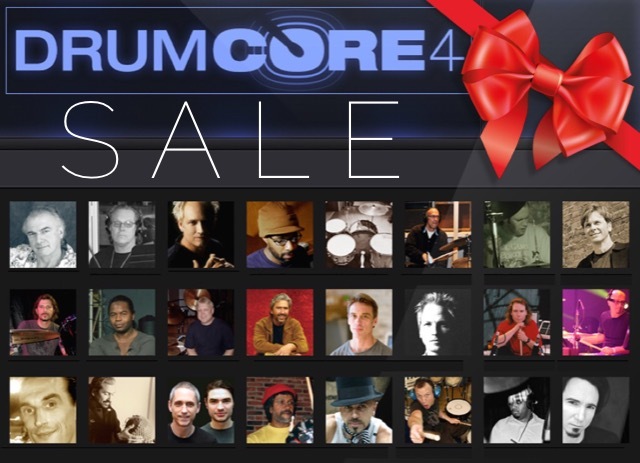 DrumCore 4 is available in three editions: DC4 Lite ($49), DC4 Prime ($249) and DC4 Ultra ($639). They contain the same plug-in and features. The differences are how it is delivered (download, USB Flash drive or Solid State drive) and how much content is included. 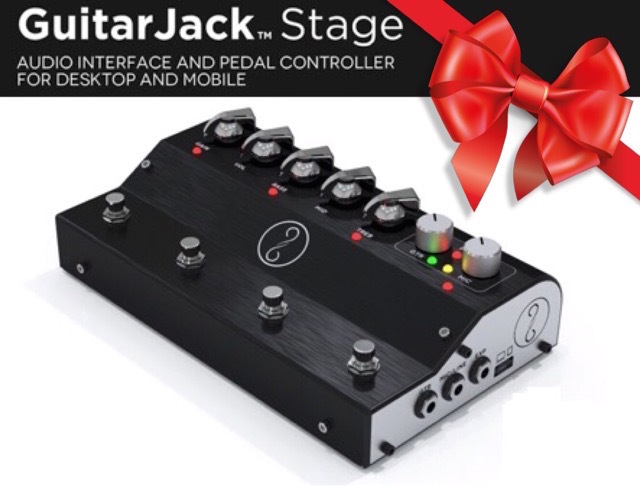 GuitarJack Stage's rugged aluminum chassis holds a mono Hi-Z ¼-inch input for guitar, a stereo mic/line ¼-inch input for vocals or keyboards, 2 analog input level knobs with LED metering, an expression pedal jack to control wah, volume, or other effects, 2 line level ¼-inch outputs (left and right) for monitors, amps, or a mixer, 1 stereo ¼-inch output for headphones, plus 5 Knobs, 4 foot switches, and 4 LEDs to control MIDI enabled software. External power is required only to charge an iPhone, iPad, or iPod touch while you play! Made in U.S.A.
Record, practice, and play live anywhere with your computer or mobile device using popular audio recording, amps and effects software! You can even charge an iPhone, iPad or iPod touch device while you play! 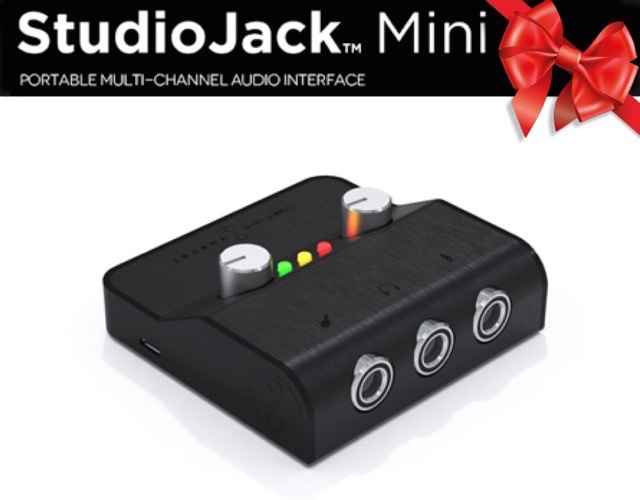 This compact, device powered, 24-bit interface features 1 mono Hi-Z ¼-inch input for guitar, a stereo mic/line ¼-inch input for vocals or keyboards, 2 analog input level knobs with LED metering, a stereo ¼” output for headphones, and “Plug-in power” for electret microphones. Made in U.S.A.
Dennis Chambers is known for his technique and speed, and has played with Parliament/Funkadelic, Scofield and more. Bernard Purdie, the world's most recorded drummer, is known for the "Purdie Shuffle" and the feel he brings to the mix. Discrete Drums loops are also now available in DC4! GuitarTone amps and effects for iPhone and iPad now offers all new tube models, revoiced amps, up to 6 simultaneous pedals per preset, 2x oversampling for super smooth distortion, 2 new pedals, and more!